Preheat oven to 350 degrees and pre-cook one pie crust according to directions (10 minutes or so). Let that pie crust cool. Kick oven up to 425 degrees. Mix flour, sugar, cream of tartar, salt, and blueberries together. Pour mixture into cooled pie crust. Break the stick of butter into small chunks and dot on top of mixture. Cut the other pie crust into strips and lattice over the mixture. 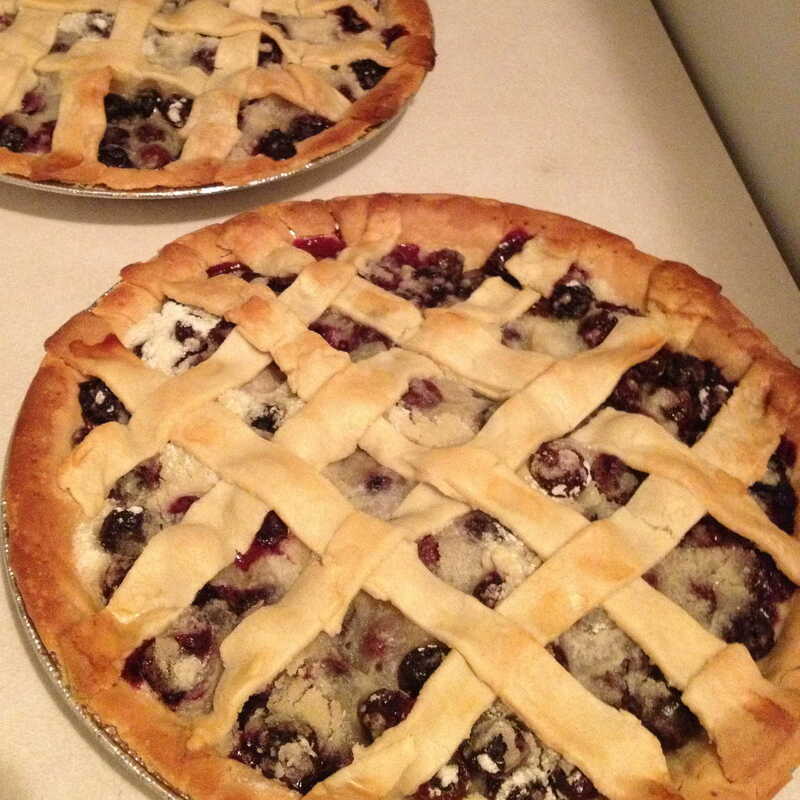 Rub cream or milk on top of the lattice and the edge of the pie crust. Bake at 425 degrees for about 15 minutes or so. Then turn oven down to 350 degrees and continue baking for another 30-40 minutes (until mixture is bubbling a bit).